This entry was posted in Environment and tagged bee. Bookmark the permalink. 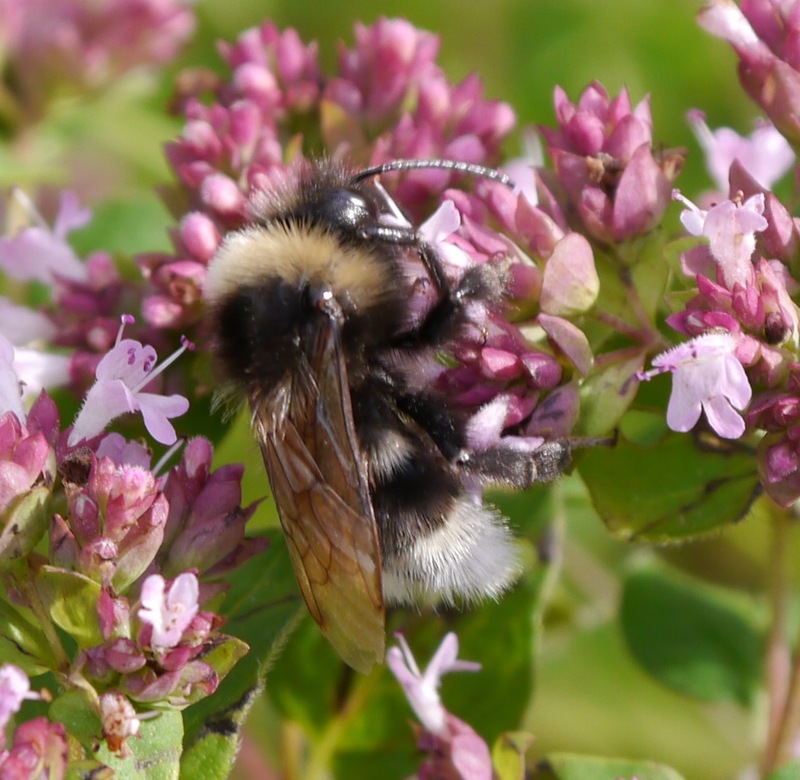 Thanks; the bees were really dozy, just crawling over the marjoram, which made it much easier to get the picture. I keep reading about how many bees are dying each year but I see hundreds every day including plenty of honeybees. Perhaps we are just lucky in this area, although a badger has destroyed three nests close to the garden this year. Stunning! The level of detail is amazing–it makes this bee look huge! Thanks. I’m really enjoying learning how to use this camera. I counted about 30 bees on this one clump of marjoram, plus all the butterflies etc., so I’m glad they are not that huge! Hope you are finding time to sit and relax in some inspirational places.